how are you all doing today? The weather is rainy and cold here and I am enjoying it, even though it makes me feel sleepy. The downside is that it doesn't feel like spring at all. 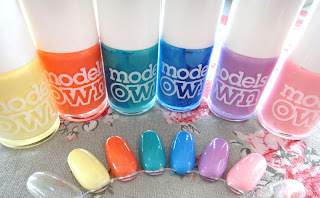 So in order to cheer things up a bit and get in the Spring mood, I ordered a few Models Own polishes a while ago. They had a fabulous offer on the Smash Up crackle polishes that I couldn't resist, so I got both the black and the silver. 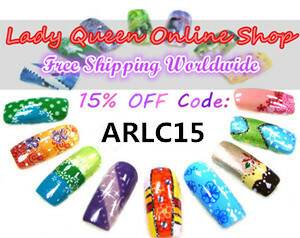 I also ordered some lovely pastel colours, perfect for bright Spring manicures. 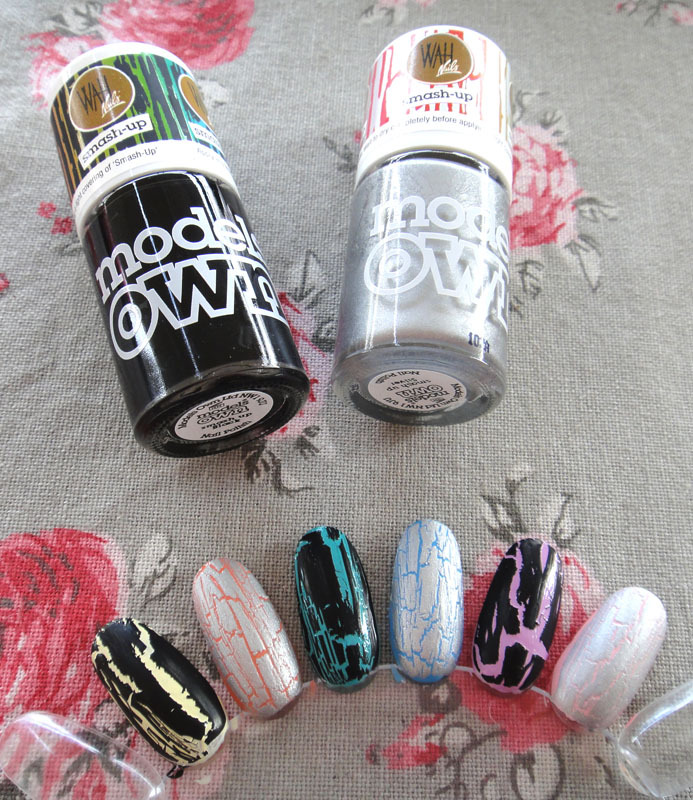 I always love getting nail mail, and after unwrapping everything they looked so pretty in the box! Apart from Smash Up in Black and Silver, the rest of the colours from left to right are Lilac Dream, Fuzzy Peach, Feeling Blue, Pastel Pink, Top Turquoise and Lemon Meringue. Here are all the pastel colours on a nail wheel, two coats each. I couldn't resist adding a coat of Smash Up on each nail! 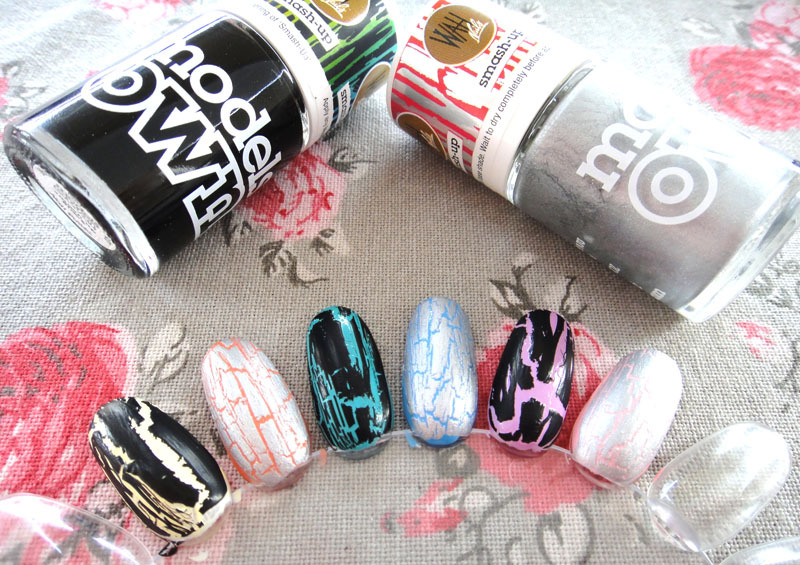 I love all the combinations but my favourite by far was the silver over pink which is the far right one. Unfortunately it didn't photograph well, but I will be doing a mani with it so you will get a chance to see it better. Also I want to make a special mention to the excellent customer service. There was a minor problem with my order that was resolved in a very timely manner. I was so pleased that I just have to mention it. What do you think of all the crackle polishes going around? Have you had enough? I know I haven't! I love the silver one! 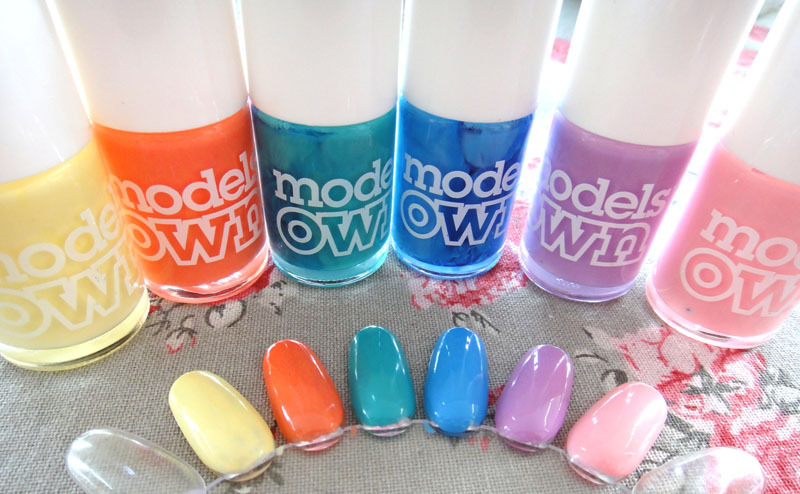 omg, i really like Models Own polishes! i need to get myself some :P that pink one is adorable! I love the colours! Ooooh I didn't know we could order Models own in Greece, that's swell!!! Those colours do look like spring. Can't wait to see your posts with them! i have the models own silver shatter, i think the only shatter i am wanting now is gold and then i may be done with them lol! hello already replied by post but you did not answer and I'm waiting for you to choose your varnish because I am anxious for our return. I loved these lacquers and the mark must be great. 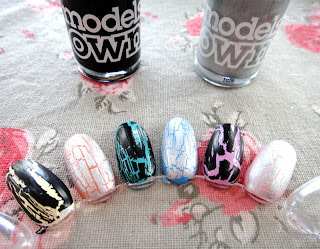 I think my fav one is the black over the pastel blue. But they all look pretty!! Έχω ήδη πολλά από αυτά και μπορώ να πω είναι τέλεια! Απλά δεν χρειάζεται να τα παραγγείλω εγώ,υπάρχουν στα beauty shops. Yes, I was surprised too that we can order these and get them shipped to Greece (and super fast too, ModelsOwn has excellent customer service).